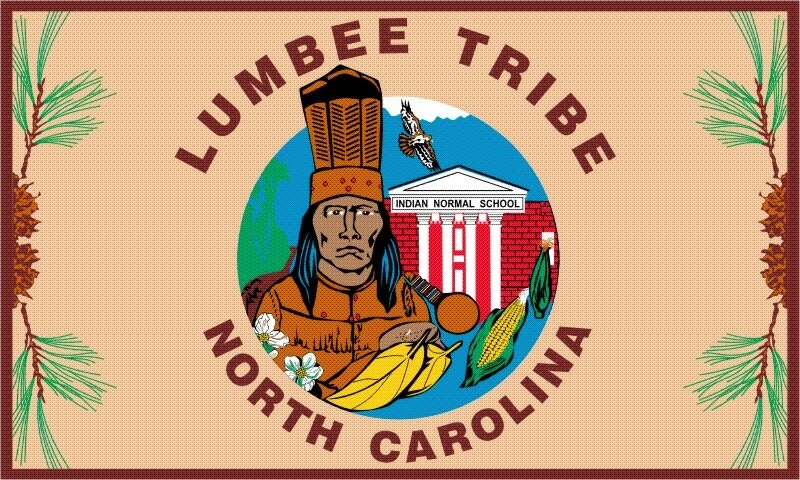 A tribe native to North Carolina, the Lumbee make up a large portion of the ethnic makeup of Robeson County, North Carolina. In January of 1958, the Ku Klux Klan burned crosses on the lawns of two Lumbee families near Maxton, NC..
A Klan rally was scheduled for a few days after the cross burning, and the time and place were not kept secret. Around a hundred Klansmen were surrounded by as many as a thousand Lumbee on the fringes of their gathering, and the members of the tribe were able to descend and scatter the Klansmen, ensuring that the KKK never held another public rally in Robeson County. The image to the left appeared in publications around the country, of young tribesmen with the captured Klan Flag. The Lumbee call the confrontation the Battle of Hayes Pond. Cunningham, David. Klansville, USA: The Rise and Fall of the Civil Rights-Era Ku Klux Klan. New York: Oxford University Press, 2013. Graham, Nicholas. 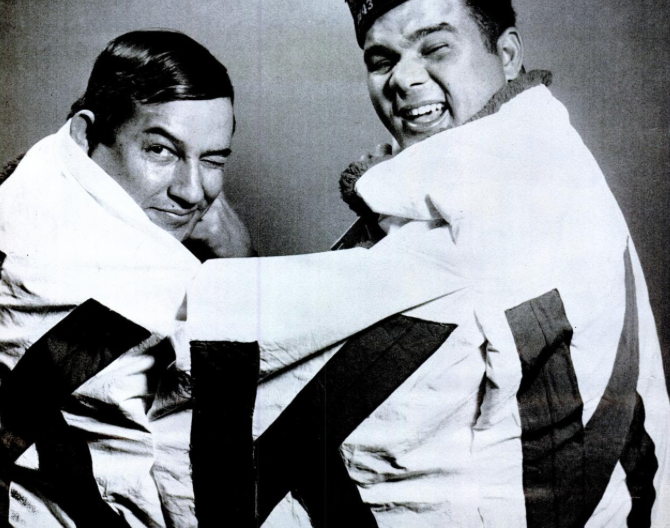 Lumbee Indians Face the Ku Klux Klan, 1958 | NCpedia. NCPedia. 2005. Web. 17 Apr. 2017.